Noah reflects on his performances. 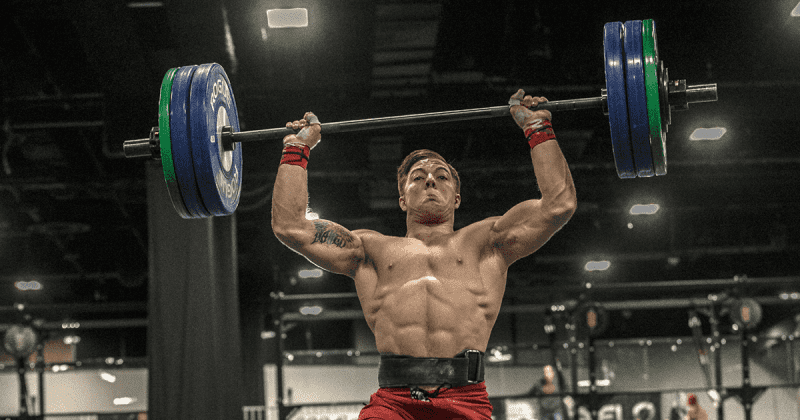 Noah Ohlsen has expressed his disappointment at his Open results. After a 792nd finish in 19.1, Noah battled bravely forward and clawed his way back up the leaderboard. The top 15 finished as follows. 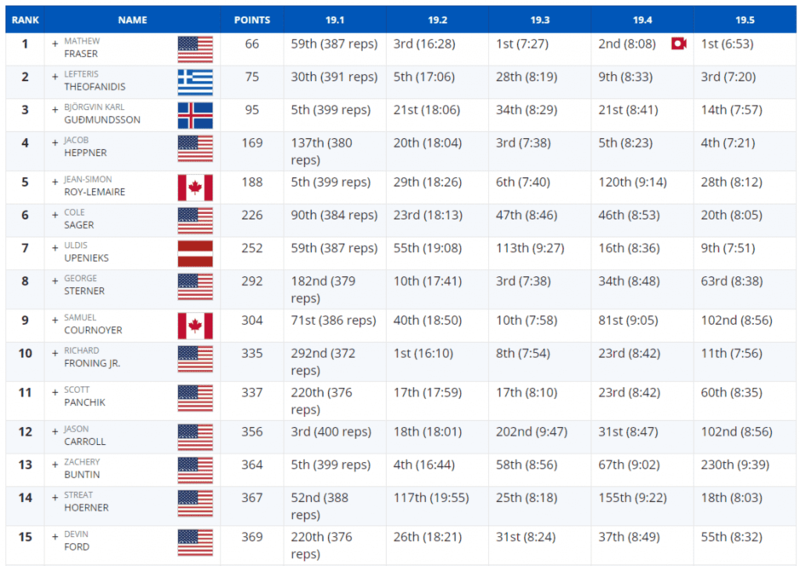 Please bear in mind that CrossFit are still reviewing video submissions, so these results are still unofficial. “How many of you are FULLY satisfied with every single score you put up during the Open the last five weeks? I imagine there won’t be an overwhelming amount of 🙋🏼‍♂️’s in the comments. That’s okay. I’m right there with you! But you know what I’m not going to do? Wallow, be ashamed, or discouraged. I’m going to be proud of my effort, take a week to recoup, do a little reflecting, devise a plan, and attack it! If you own the story, you get to write the ending. How many of you are FULLY satisfied with every single score you put up during the Open the last five weeks? I imagine there won’t be an overwhelming amount of 🙋🏼‍♂️’s in the comments. That’s okay. I’m right there with you! But you know what I’m not going to do? Wallow, be ashamed, or discouraged. I’m going to be proud of my effort, take a week to recoup, do a little reflecting, devise a plan, and attack it! If you own the story, you get to write the ending. Plus, I bet everyone else is already proud that we braved stepping into the arena and taking a chance. Why don’t we all tag some people below that we’re proud of. I’ll start!